You’d be forgiven if you thought that the photos below were taken at a mall or the latest watering hole in the city. If this looks like a cosy cafe where you can spend hours and hours reading a book and sipping a cuppa at, you’re only half right. 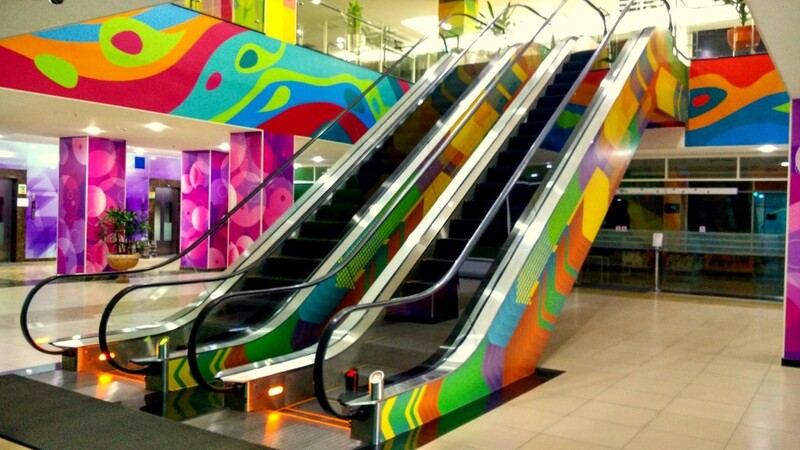 What else has a colourful escalator like this? It surely is a mall. Or is it? No, this wall is just too pretty to be anything other a cafe or some sort of a music studio. Ok I see some motivational quotes on the wall. Is it some sort of a learning centre? Could this just be a beautiful wall like these ones, in say like a cool new startup? 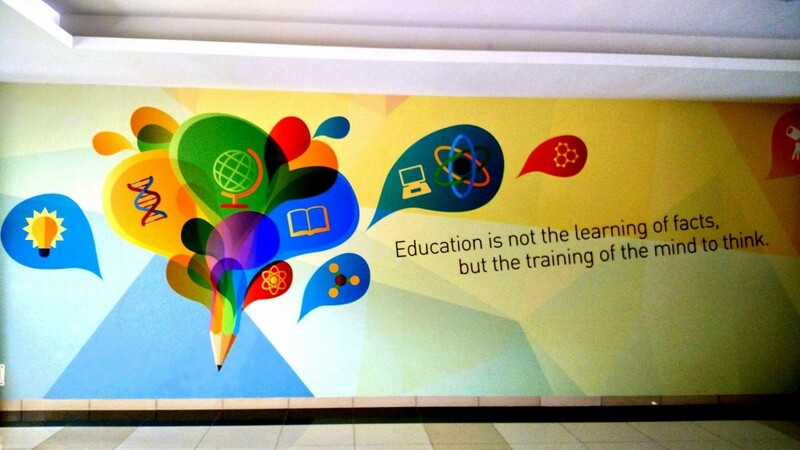 Hmm, education and learning, is this a fancy international school by chance? Or maybe just maybe all of these are a part of an IT office. 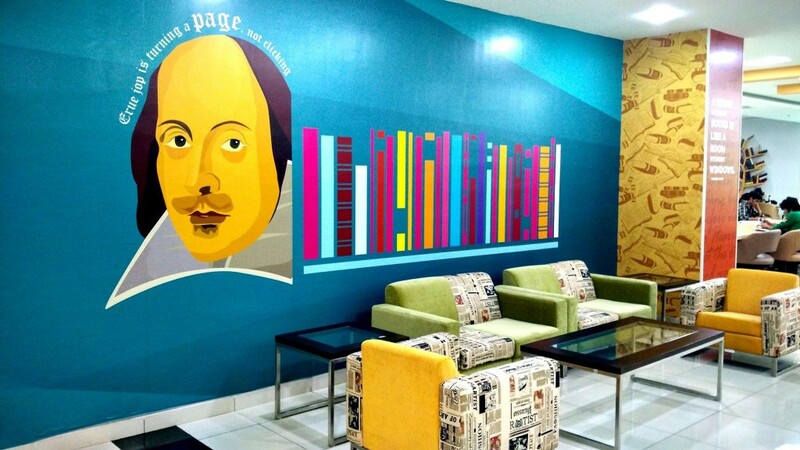 Yes, this amazing space is the recreational centre at the Infosys Campus, located in the SEZ area, Pocharam Hyderabad. This campus also happens to one of the most ecofriendly and green campuses in India. 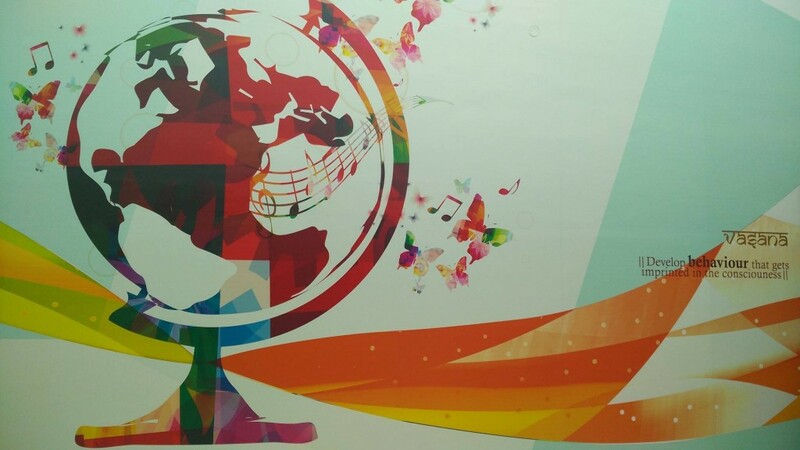 Just when you thought only the Google office in Hyderabad was worth a look at, Infosys completely hits it out of the ballpark. 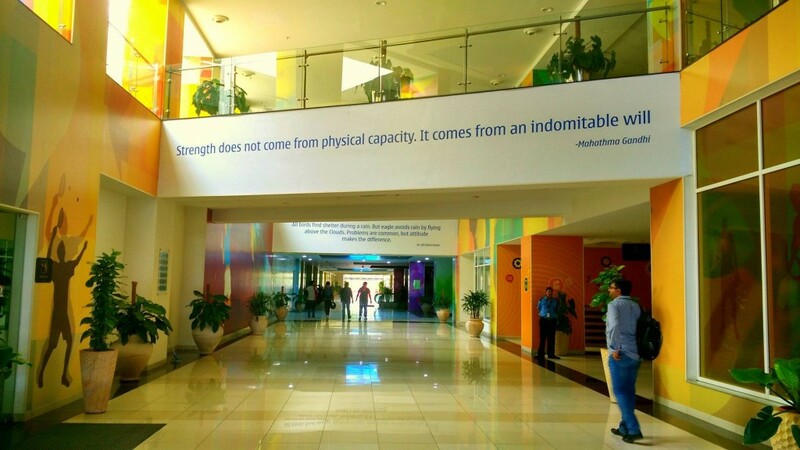 The Hyderabad campus houses 8,000 employees (or “infoscions”, as Infosys terms them) and has training facilities with on-campus accommodation for 700 students. 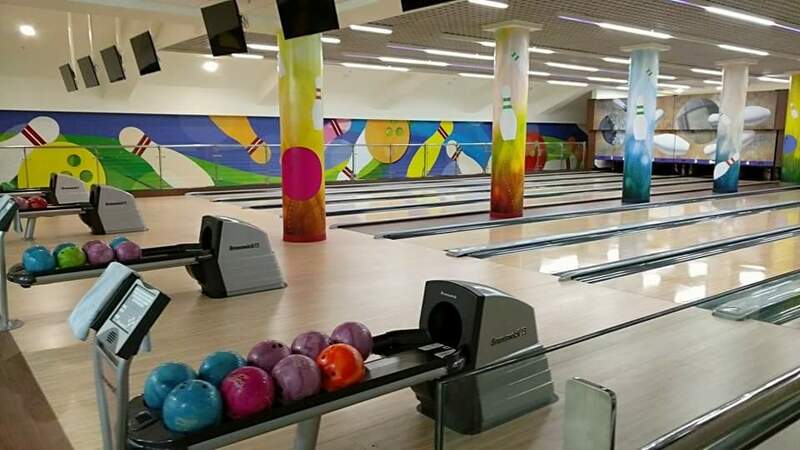 There are two large food courts, the obligatory cricket ground, mini-golf and all kinds of recreational facilities for the employees. 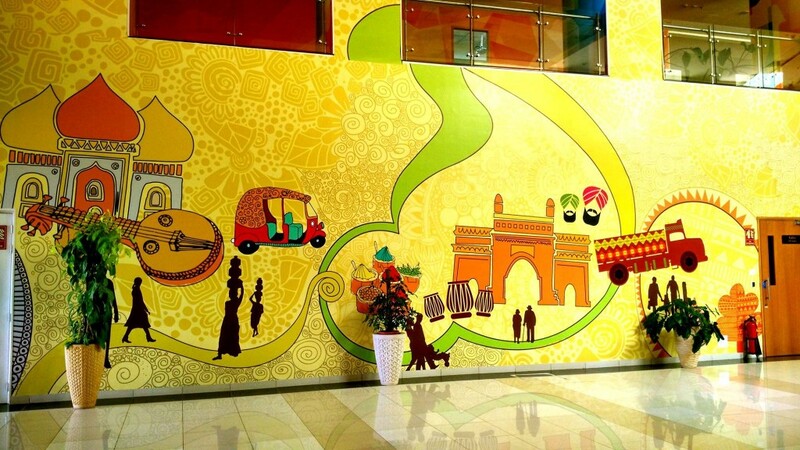 Infosys is known for its sprawling, vast campuses full of amenities and facilities. IT giant Infosys, headquartered in Bangalore, has other vast campuses in Mysore, Chennai, Pune and Hubli. It’s no wonder then the company receives over a million resumes each year.